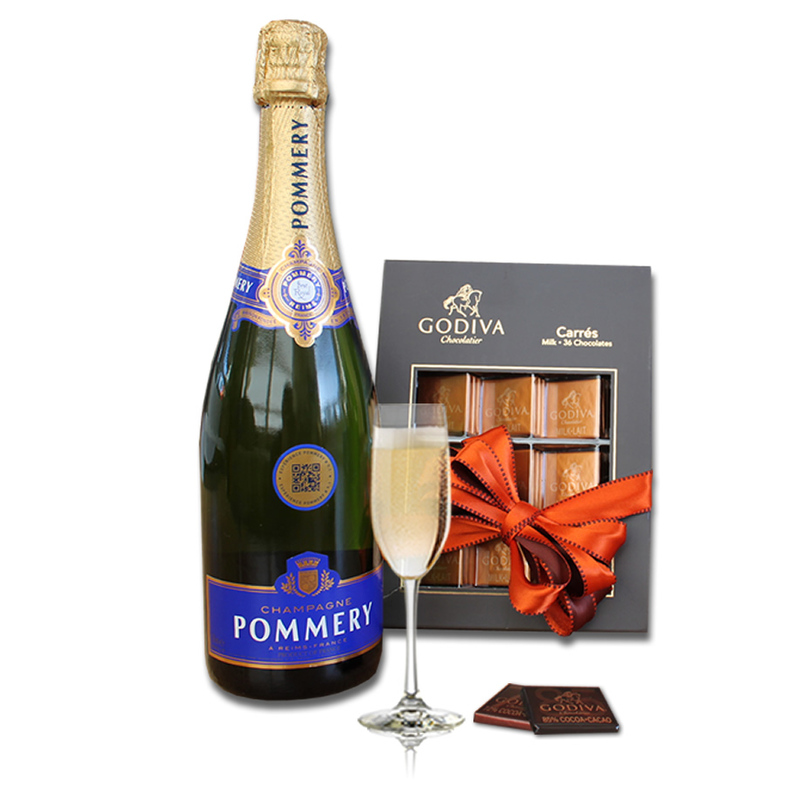 A bottle (75cl) Champagne Pommery and a box of Godiva chocolates. A fitting wishcard with your own personal message makes the gift complete. We deliver this gift in the Benelux countries, France, Unired Kingdom, Germany, Austria, Denmark, Poland, Italy, Slovakia, Czech Republic and Hungary.